The India national football team represents India in international football and is controlled by the All India Football Federation. Under the global jurisdiction of FIFA and governed in Asia by the AFC, the team is also part of the South Asian Football Federation. The team, which was once considered one of the best teams in Asia, had its golden era during the 1950s and early 1960s. During this period, under the coaching of Syed Abdul Rahim, India won gold during the 1951 and 1962Asian Games, while finishing fourth during the 1956 Summer Olympics. India have never participated in the FIFA World Cup, though the team did qualify for the World Cup in 1950 after all the other nations in their qualification group withdrew. However, India themselves withdrew prior to the tournament beginning. The team has also appeared three times in the Asia's top football competition, the AFC Asian Cup. Their best result in the continental tournament occurred in 1964 when the team finished as runners-up. 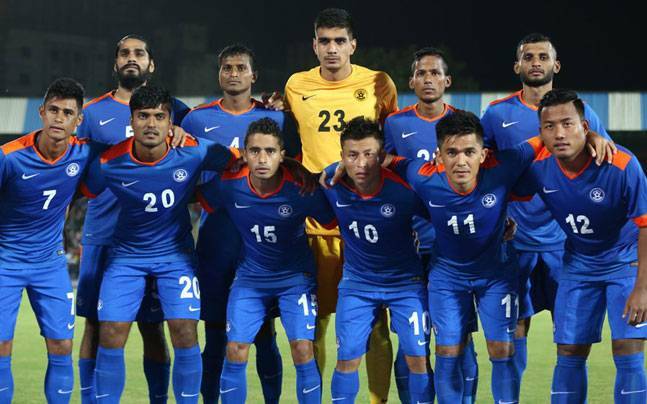 India also participate in the SAFF Championship, the top regional football competition in South Asia. They have won the tournament six times since the tournament began in 1993.Despite India not reaching the same heights since their golden era, the team has seen a steady resurgence since the beginning of the twenty-first century. Besides the SAFF Championship triumphs, under the guidance of Bob Houghton, India won the restarted Nehru Cup in 2007 and 2009 while also managing to emerge victorious during the 2008 AFC Challenge Cup. The Challenge Cup victory allowed India to once again qualify for the Asian Cup for the first time in 27 years. Last edited by baadshahmian; 10-13-2017 at 10:34 PM. Our U-23 Colts go down 1-0 to Singapore U-23 in an International Friendly.